For meeting the requirements of washing, De-watering, and separating sand & crushed rocks, we are engaged in providing our prestigious patrons a broad array of Stainless Steel Wire Mesh. In addition to this, our offered wire meshes are used as filters and screens in oil, chemical, pharmaceutical and food industries. To ensure the ability of meeting the needs of above mentioned application, offered wire meshes are sourced from the most trustworthy vendors of the industry, who make use of excellent quality raw material in the manufacturing process. Backed by the profound experience of our professionals, we, “Ashok Hardware & Allied Products”, established in year 1966 is an organization engaged in supplying, distributing, exporting, wholesaling, retailing & trading of Meshes, Nets, Metals, Binding Wires, Fencing, Ropes and other Products. The range offered by us consists of Expanded Wire Mesh, Brass Wire Mesh, Galvanized Wire Mesh, Aluminum Insect Screen, Flexible Packaging, Geosynthetics, Pet Resistant Screen, Nylon Fabrication Mesh, Sefar, Household Appliances, Rolling System, Mosquito Screen and many more. Offered products are procured from the authentic vendors of the market, who strictly follow the established norms of the industry while manufacturing these products. 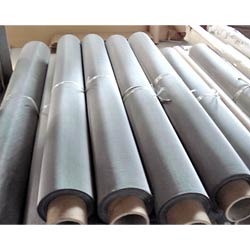 Along with this, the professionals at our vendors base utilize optimum quality material and modern machines while manufacturing these products. These products are known for their longer life span, fine finish and least maintenance. Being a custom oriented organization, we give top priority to the satisfaction of the customers and so for the reason offer high quality products. In order to match the exact requirements of the clients, we offer these products in various specifications. Before the final dispatch, all these products are tested on variegated parameters of quality, before the final delivery. All these products are made available by us at feasible market prices. Also, we keep the convenience of the patrons in mind and thus, accept payment through various easy modes like cash, cheque and demand draft. Owing to factors like qualitative product-line, reasonable prices, ethical trade practices and client-centric approach, we gained the faith of various prominent clients like Larsen and Turbo Limited, Indian Railways and Christian Medical College, Vellore, Tamil Nadu across the Indian Subcontinent and South East Asia.